In addition to healthy coral populations and cover on reefs, restoring the reef substrate may also be an important intervention when the natural reef structures become damaged, degraded, or unsuitable for coral larval settlement. For example, substrate addition interventions may be needed in areas where dynamite fishing has destroyed the reef structure before coral population restoration techniques like coral gardening and outplanting can be successful. Coral reefs where macroalgae has come to dominate the reef substrate may also need substrate enhancement interventions to make the substrate suitable for coral outplanting and natural recruitment processes. 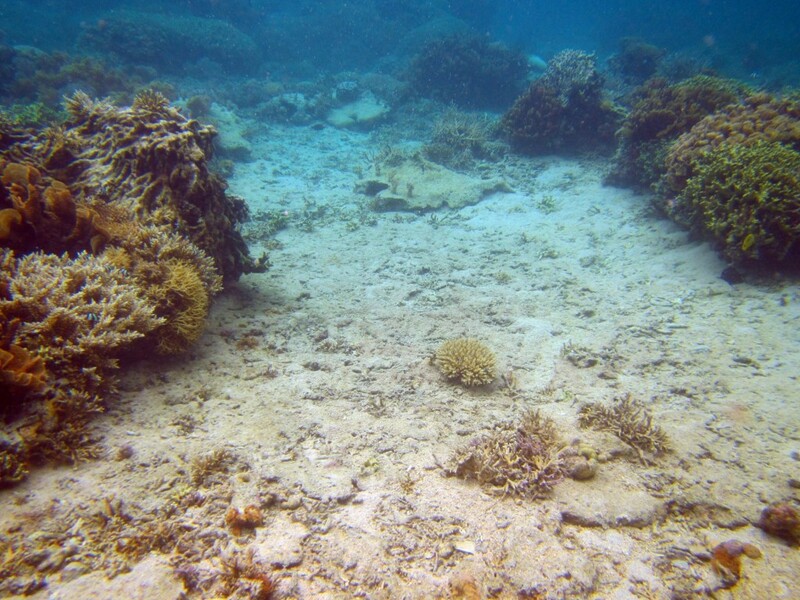 A reef area that is suitable for coral restoration activities. © Reef Explorer (Fiji) Ltd.
Substrate-related restoration projects on coral reefs historically sought to create new reef habitat through deploying artificial structures of various materials. New coral restoration programs focused on substrate seek to use materials that promote natural coral reef recovery processes by using materials that allow for coral settlement or adding coral fragments directly onto structures in a mixed-method approach. Whenever possible, it is recommended that substrate restoration interventions promote natural, self-sustaining coral reef processes.